If you’ve followed our yearly Comic Con Blog or the career of Zachary Levi, Star of Chuck, then you are probably aware of The Nerd Machine and Nerd HQ. If you are not however, Zachary Levi and co-founder David Coleman began the nerd machine website home of cool nerd Swag, articles and the start of a Nerd Revolution (Nerdolution). Subsequently it evolved to include Nerd HQ, the con(NERD HQ) inside the con (San Diego Comic Con) which began offering unprecedented access to favourite stars and other cool nerd stuff. And it was all in an effort to raise money for the charity Operation Smile, which offers safe, effective reconstructive surgery for children born with facial deformities such as cleft lip and cleft palate. For every year Nerd HQ has been going, they have provided full videos of their panels and events(which can be found on their YouTube channel here), which were also streamed live worldwide. Nerd HQ was made up of Signings, photo booths, panels, gaming and auctions. But now the convention needs your help! If you’re still not convinced here are a few things that may help persuade you, If you’re not resident of the United States, Unfortunately there is no Nerd HQ for example in our native land of the UK or anywhere else,but success might encourage expansion. And finally to give you an idea of what your money would be going towards here’s a quick clip of footage from Nerd HQ 2013. 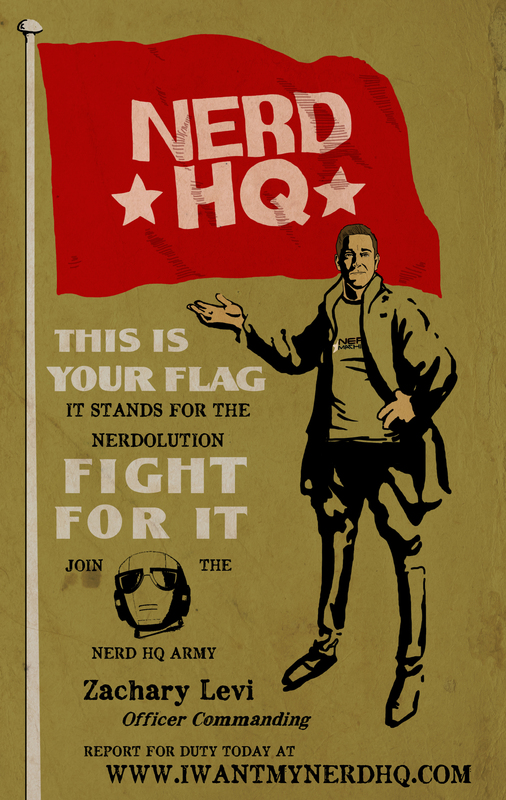 I hope you agree to support this worthy cause and support Nerd HQ and The Nerdolution! This entry was posted in Comic Con, Nerd News by Nerd Eyes Only. Bookmark the permalink.